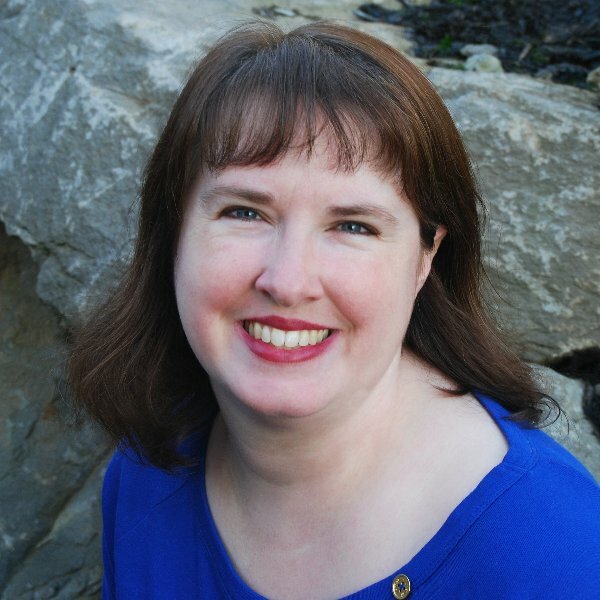 Hello and welcome to Lori Whitlock's April blog hop! You should be arriving here from Corri's blog or if you are just joining in you can start from the beginning at Lori's blog. 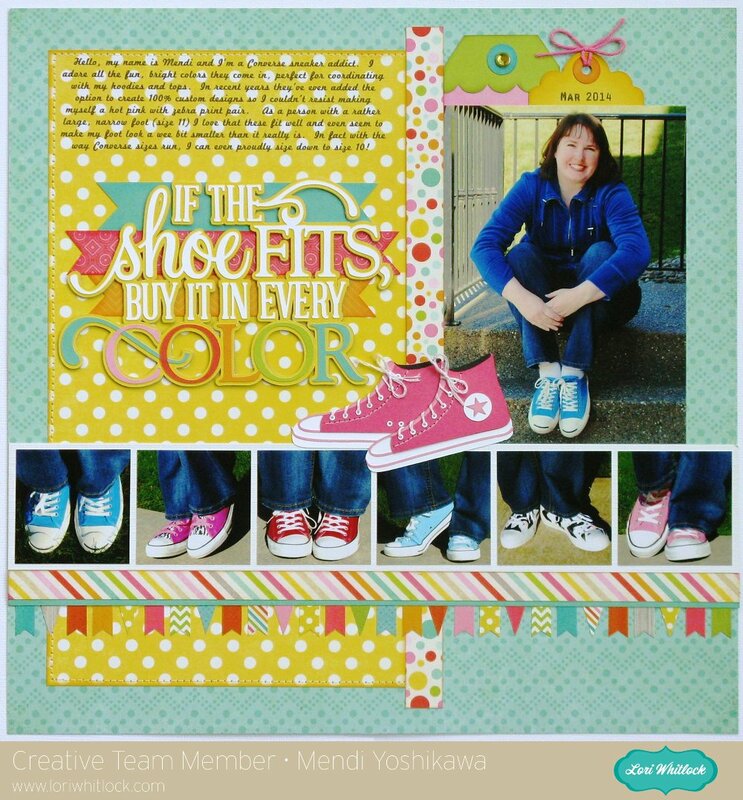 Today I have a colorful layout sharing my addiction to Converse sneakers using Lori's newest Summer Bliss collection which she designed for Echo Park. As soon as I saw this fun title by Kolette Hall I knew I had to pull out my camera and document my shoe collection for the record books. ;) Lori was super sweet and even designed an adorable pair of sneakers to help put the finishing touch on my page. 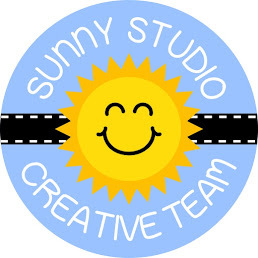 For my title I created a thin shadow which I cut from both yellow paper and two thin sheets of Silhouette Chipboard. I then set to work gluing all the layers together with my favorite Zig glue pen. I love the extra dimension and emphasis it gives my title. I also have a digital layout that I made awhile back using Lori's Digital papers and embellishments that I never got around to sharing. 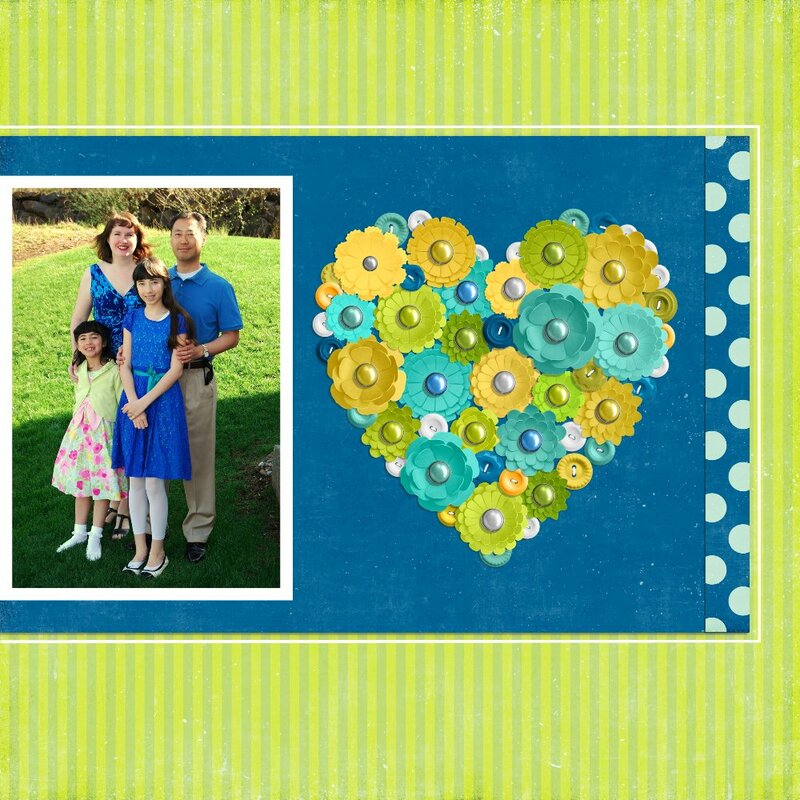 For this one I used a fun sketch by Allison Davis at Scrapbook Generations. 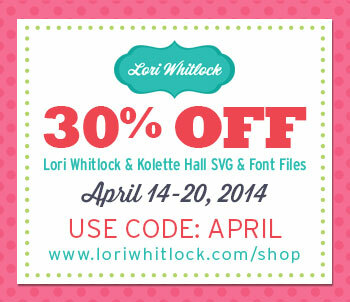 In honor of the hop, Lori and Kolette Hall are offering 30% off all their SVG cutting files and fonts today through April 20th. 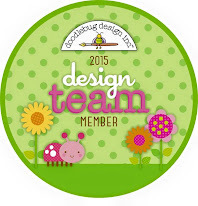 Lori also has an awesome giveaway for a $25 gift certificate to one lucky winner. The contest will run April 14th through 21st and the winner will be announced April 21st. Love your layouts. My daughter also loves to buy shoes in every color. Thanks for sharing. Mendi! Love the details you added to the shoe. These are so cute! Both layouts are fabulous. That digital flower heart--Awesome! I adore the shoe layout. How fun! Wonderful layouts! I, too, love Converse! Beautiful layouts. I love all the detail! Great layouts. The flowers make your Easter layout pop. Great job! 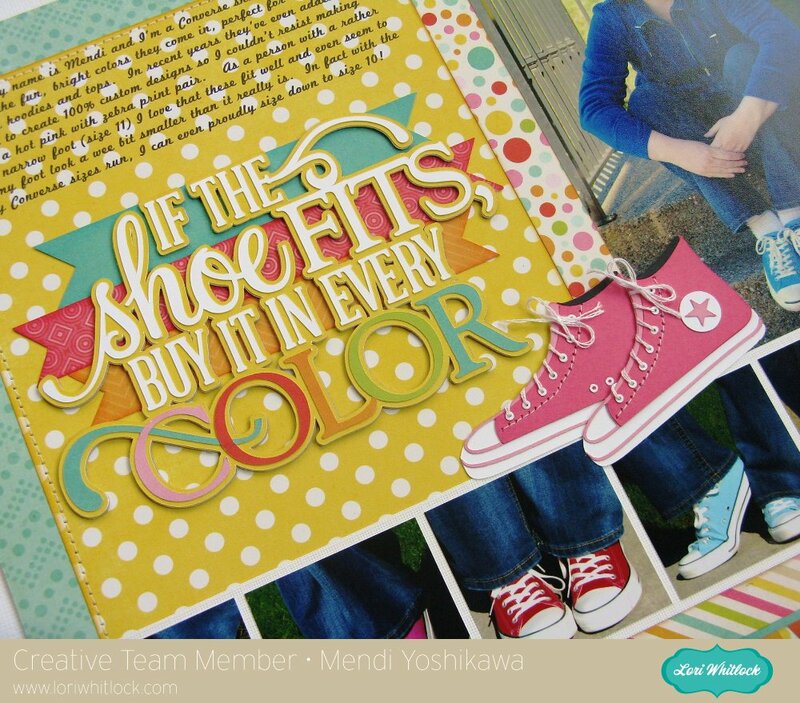 Awesome layout with the shoes! So bright and fun! 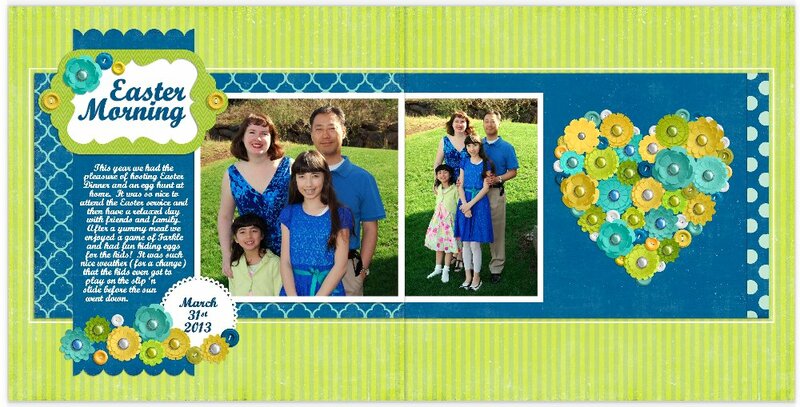 I love the Easter layout, too, especially your lovely heart! Well, I am commenting on the fact that I don't see any products that I'd need a video for that there aren't any videos for yet! I love that about Lori! 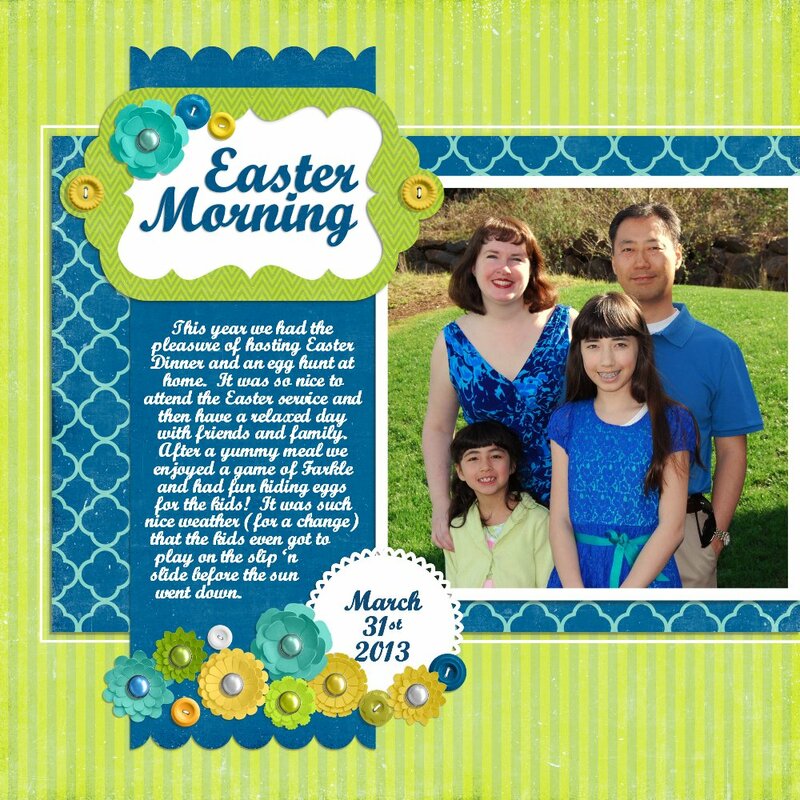 Love the Easter morning layout, nice colors and lovely design elements. what fun layouts - love the flower heart. I struggle with the knife tool ... would love to have a video on the ins and outs of it. Beautiful layout! Very creative and great idea with the shoes. Perfect pictures too! Great job! Awesome Layouts, love the sneakers!! Great layouts! I love Converse sneakers, too. Thank you so much for visiting my blog and leaving such a kind comment.